When the Acura MDX debuted as a 2001 model, it was the first luxury crossover vehicle with three rows of seating. The competition has thickened since then, but MDX has remained among the leaders as it has evolved through three generations (2001 – 2006; 2007 – 2013; 2014 to present). 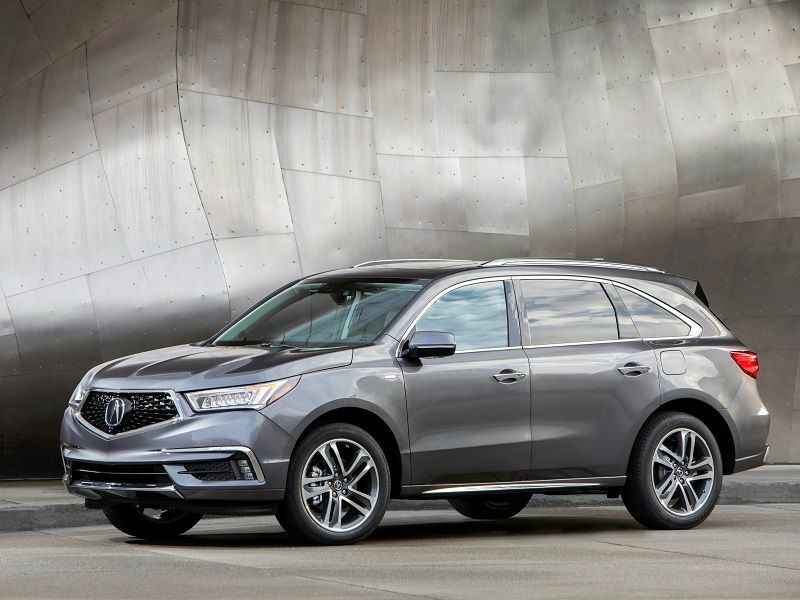 The 2018 Acura MDX comes with a 290 hp/267 lb-ft of torque 3.5-liter gasoline V6 engine, and also is available as a Sport Hybrid with a 3.0-liter gasoline V6 and three electric motors (one front/twin rear) with a combined system power of 321 hp and 289 lb-ft of torque. Gas-only models come with front-wheel drive or Acura’s Super-Handling All-Wheel Drive (SH-AWD), while hybrid models are SH-AWD only. MDX prices start at $44,200. Add $2,000 for SH-AWD; $2,000 for Entertainment Package; $4,400 for Technology Package; $6,050 for Advance Package; and $3,500 for hybrid gasoline/electric system. 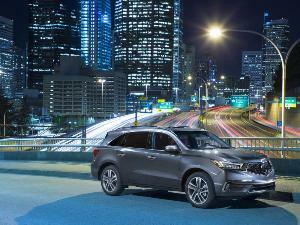 Here are 10 Acura MDX Competitors to Consider. Q7 has been Audi’s flagship crossover vehicle since it debuted in the United States as a 2007 model. The second-generation Q7 began with the 2016 model. 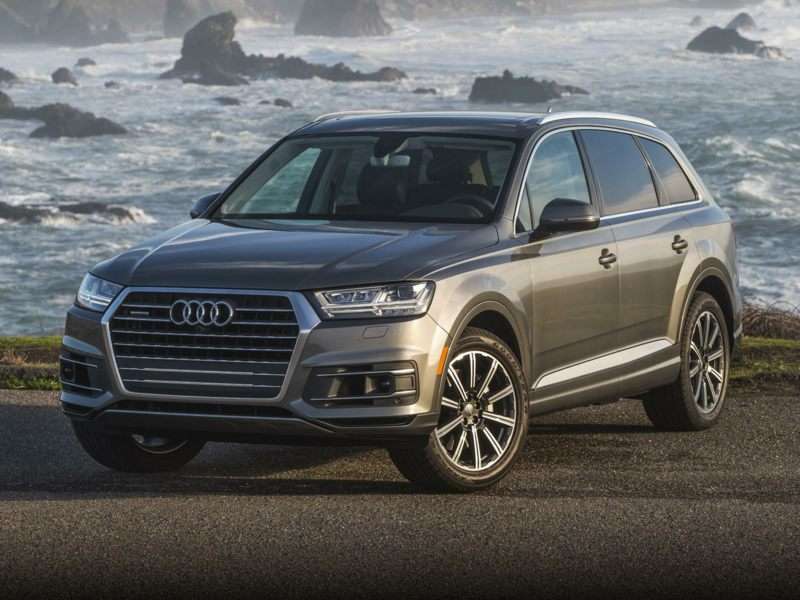 Q7 got caught up in the Volkswagen Group diesel scandal, so the 2018 Audi Q7 comes with gasoline-only engine options: a 2.0-liter TFSI turbocharged four-cylinder engine (252 hp/273 lb-ft of torque) or a 3.0-liter TFSI turbocharged six-cylinder (333 hp/325 lb-ft of torque). Audi’s quattro all-wheel drive system is standard across the board. Q7 comes in three trim levels: Premium (starting at $49,900); Premium Plus (starting at $53,900); and Prestige (starting at $65,400). Add $6,500 to upgrade from 2.0-liter to 3.0-liter engine on Premium and Premium Plus; Prestige comes only with the bigger engine. Q7’s particular strength in this competitive set is its interior design, which is just a little more coherent and classier than the rest, including MDX. 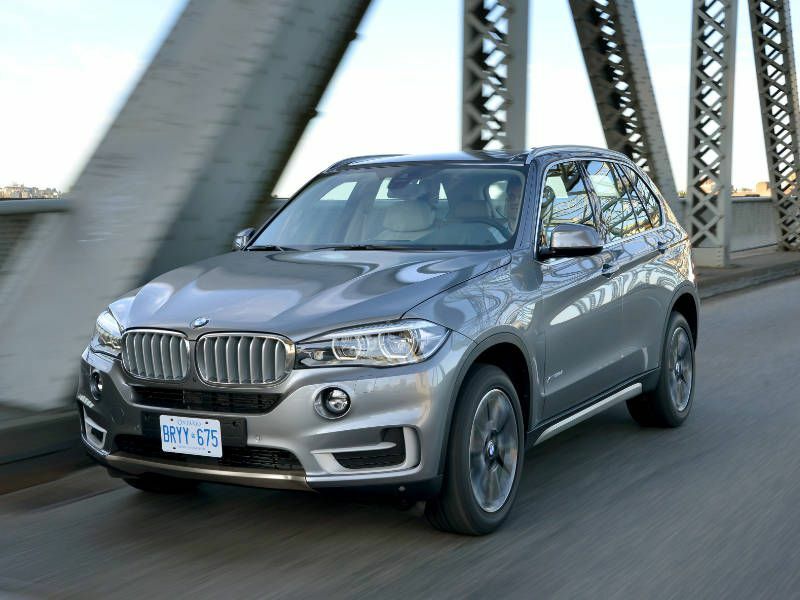 The 2018 BMW X5 probably is the most performance-oriented crossover competitor for the MDX, and even has a souped-up $101,700 M model to tempt lead-footed drivers with a twin-turbocharged 4.4-liter V8 that’s tuned to produce 567 hp and 553 lb-ft of torque, good enough to rocket the crossover from 0-60 mph in 4.0 seconds. Non-M models come with a choice of twin-turbocharged engines: a 3.0-liter gasoline inline six-cylinder (300 hp/300 lb-ft of torque); a 4.4-liter V8 (445 hp/480 lb-ft of torque); and a 3.0-liter diesel inline six-cylinder (255 hp/413 lb-ft of torque). There’s also a plug-in gasoline-electric hybrid powertrain available (308 hp/332 lb-ft of torque). Prices start at $57,200 for a rear-wheel-drive X5 sDrive35i and go up to $74,050 for an all-wheel-drive X5 xDrive50i. Denali is GMC’s luxury trim line, having spread from the Yukon SUV throughout the lineup. 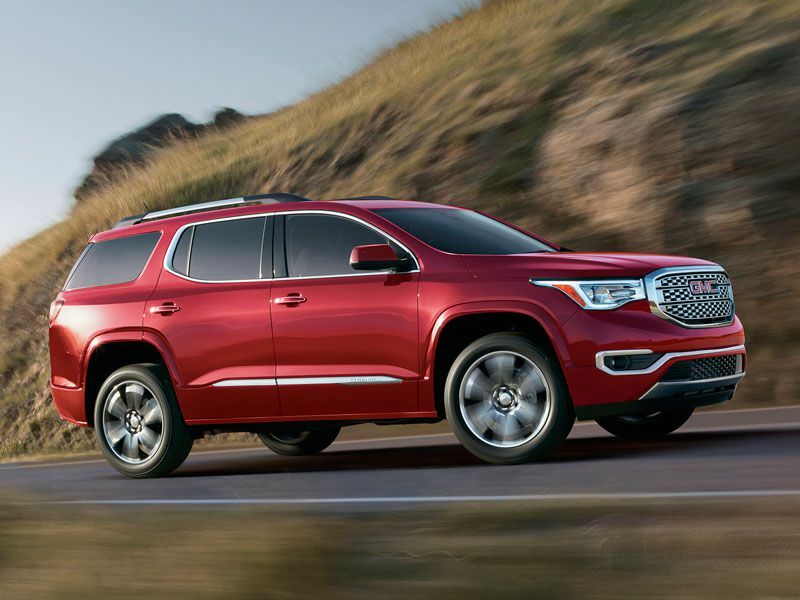 The 2018 GMC Acadia Denali comes on the heels of a 2017 makeover that saw the three-row crossover lose seven inches in length, three-and-a-half inches in width, and 700 lbs in curb weight, while retaining its 5/6/7-passenger configuration. The transformation resulted in an Acadia that is much more sprightly, fuel-efficient and fun-to-drive than before. Starting at $45,100, Acadia Denali comes with a host of luxury, convenience and infotainment features as standard equipment, including real wood and aluminum interior accents, leather seating, an eight-inch color touchscreen navigation system, power liftgate, 20-inch aluminum wheels and more. A 3.6-liter V6 gasoline engine (310 hp/271 lb-ft of torque) hooked up to a six-speed automatic transmission and front-wheel drive or available all-wheel drive propels the craft. If you need to trim some fat from your budget but still want a new vehicle that compares well to the MDX, the 2018 Honda Pilot might be right for you. 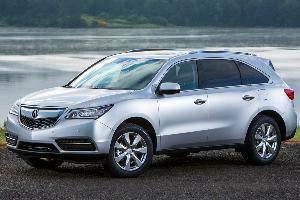 Acura is Honda’s luxury division, so Pilot and MDX share a common platform, along with a lot of engineering features. Starting at $30,900 for a Pilot LX with front-wheel drive, you get cloth seats, a five-inch color LCD screen without navigation and a 3.5-liter V6 gasoline engine (280 hp/262 lb-ft of torque) hooked up to a six-speed automatic transmission. 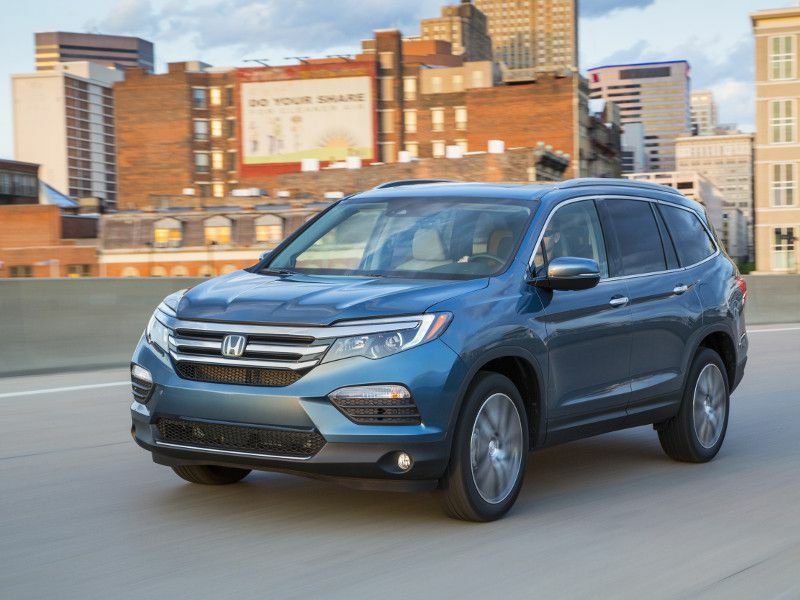 You don’t get the Honda Sensing suite of driver assist technologies on lower trim levels of the Pilot. If you want to approach Acura-level luxury and technology, you have to step up to Pilot Elite (starting at $47,400), which includes Honda Sensing, LED low-beam headlights, leather seating, heated and ventilated front seats, standard all-wheel drive, a nine-speed automatic transmission, navigation, Apple CarPlay, Android Auto and more. 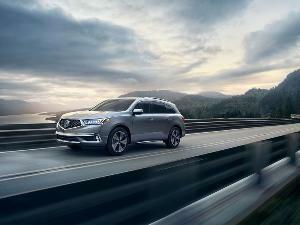 One of the big differences between the MDX and the 2018 Infiniti QX60 is the type of transmission that each vehicle uses. MDX has a conventional nine-speed automatic with stepped gears, or a seven-speed dual clutch automatic (DCT) on hybrid models. QX60 uses a different technology: a continuously variable automatic transmission (CVT). A CVT doesn’t have fixed gears. Instead, it uses a pair of pulleys connected by a steel belt. The system can deliver smooth acceleration, good fuel economy and linear throttle response. On the other hand, some drivers complain that CVTs cause their engines to drone, and they miss the sense of boost that transmission kickdown delivers when passing. 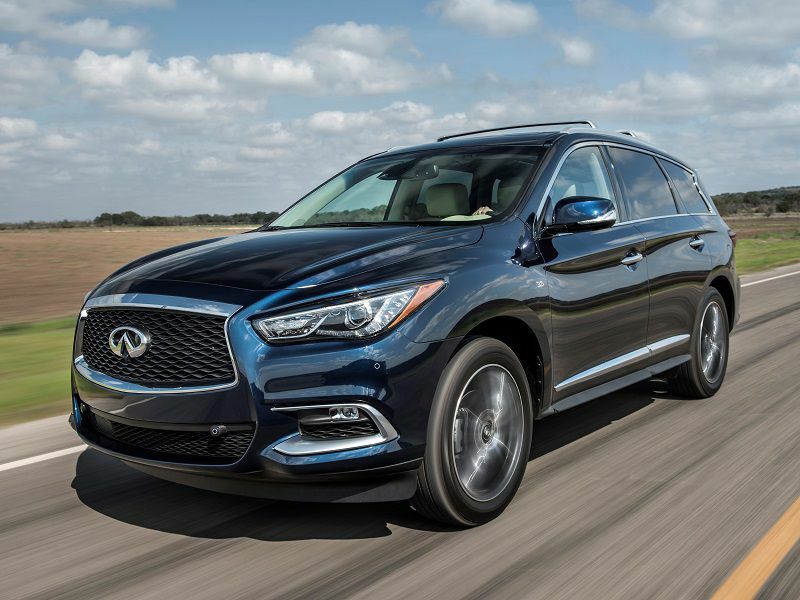 Drive a QX60, and you’ll find one of the best-feeling CVTs, powered by a 3.5-liter gasoline V6 (295 hp/270 lb-ft of torque), front-wheel drive or all-wheel drive (add $1,800), and starting prices from $43,300. Land Rover has completely turned over its lineup in recent years, and one of the biggest changes was in the Discovery models. Most recently known as LR4 in the United States, following a 2017 makeover the all-new vehicle took back the Discovery name. 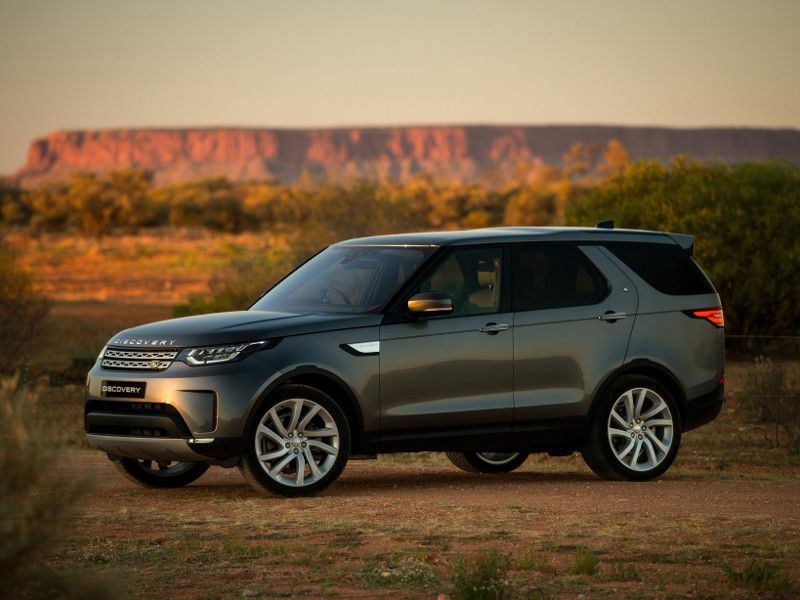 The 2018 Land Rover Discovery is a three-row crossover with genuine off-road chops and luxury on-road manners. 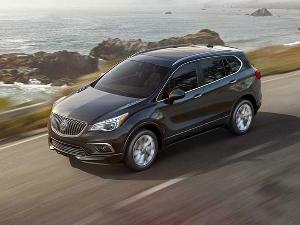 Base prices start at $52,090 for an SE model and go up to $65,490 for a Luxury trim model. Each model can be fitted with either a 3.0-liter six-cylinder gasoline engine (340 hp/332 lb-ft of torque), or a 3.0-liter diesel engine (254 hp/443 lb-ft of torque), each connected to an eight-speed automatic transmission and, of course, standard all-wheel drive. Land Rover’s Terrain Response system is standard, and Terrain Response 2 with All-Terrain Progress Control is optional – making the Discovery a true go-anywhere crossover vehicle and a tough competitor for MDX. 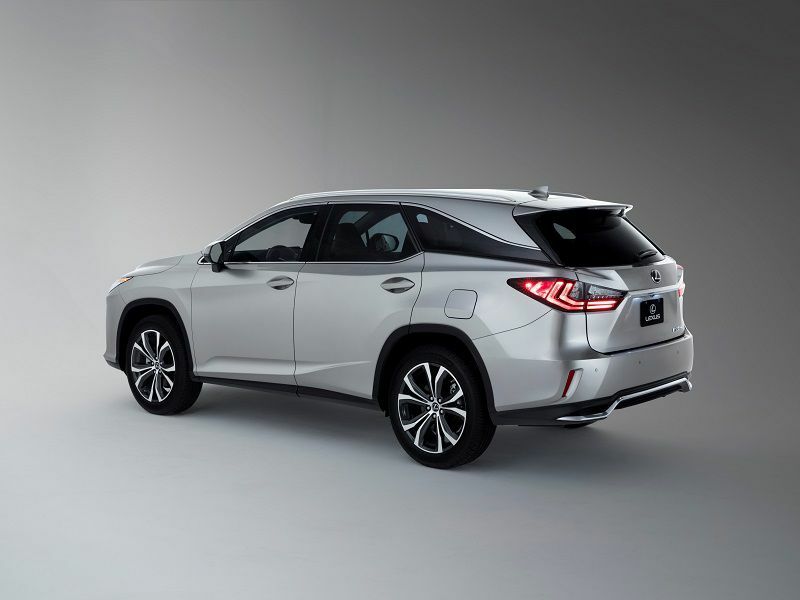 Shots fired across the bow of MDX, the new longer (by seven inches) three-row crossover 2018 Lexus RXL brings Lexus into direct competition with Acura. The popular RX has been a long-term success for Lexus, but left a void at the top of the company’s crossover lineup. 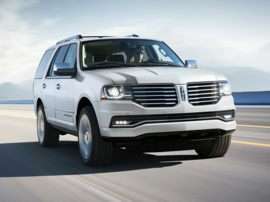 Its three-row options, GX and LX, are body-on-frame SUVs – not crossovers. Now, RXL has a third row, though it only has 23.5 inches of legroom back there, compared with 28.1 – 30.9 inches in MDX. If you’ve got young kids, that might be fine, but expect teenagers and adults to rebel. Fortunately, the rest of RXL is the same familiar luxury crossover that has been so popular over four generations since 1998, powered by a 3.5-liter V6 engine with front-wheel drive or all-wheel drive, or a hybrid gasoline-electric powertrain. Pricing for RX 350L starts at $47,670 and goes up to $50,620 for RX 450hL. Lincoln often gets overlooked when buyers are putting together their lists, but if you’re considering an MDX or another three-row luxury crossover, you should take a look at the stealthy 2018 Lincoln MKT, too. There’s a reason that so many car services have adopted the MKT as a replacement for the late-lamented Lincoln Town Car. Not only does the MKT offer roomy and luxurious accommodations for up to seven passengers and their luggage, it also presents a sophisticated and elegant profile that has more gravitas than most vehicles in its class. MKT starts at $43,530 and goes up to $49,025, with a choice of 3.7-liter V6 engine or 3.5-liter twin-turbocharged V6 engine with front-wheel drive or all-wheel drive. GLE is Superman to MDX’s Batman. 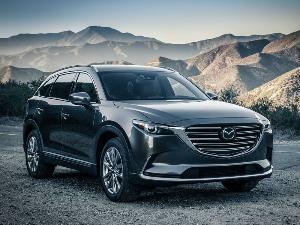 Both three-row luxury crossovers are superheroes, but one has brute strength on its side, while one specializes more in technology. Not to say that the 2018 Mercedes-Benz GLE Class is lacking in tech – it’s dripping in it. But what stands out is its muscular exterior design and abundance of available power, especially in the AMG trim. 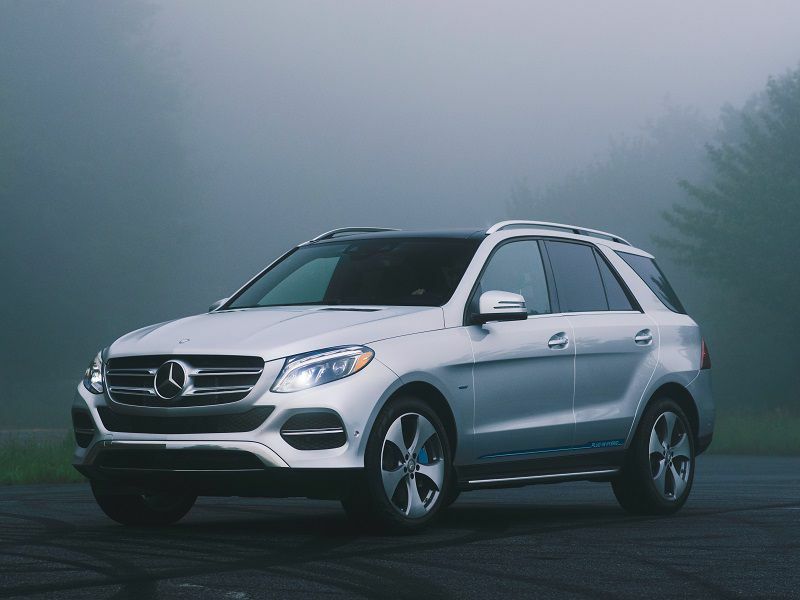 In addition to three regular Mercedes-Benz GLE models (starting at $52,200 to $66,700) with a choice of a 302-hp 3.5-liter V6 gasoline engine or a 436-hp hybrid gasoline-electric powertrain, there also are three AMG models (starting at $67,750 to $109,700) with up to 577 hp cranked out of a 5.5-liter twin-turbocharged V8, good enough to rocket three rows of passengers from 0-60 in 4.1 seconds. As the first vehicle to ride on Volvo’s SPA (Scalable Product Architecture) platform, XC90 has received rave reviews from the automotive press. 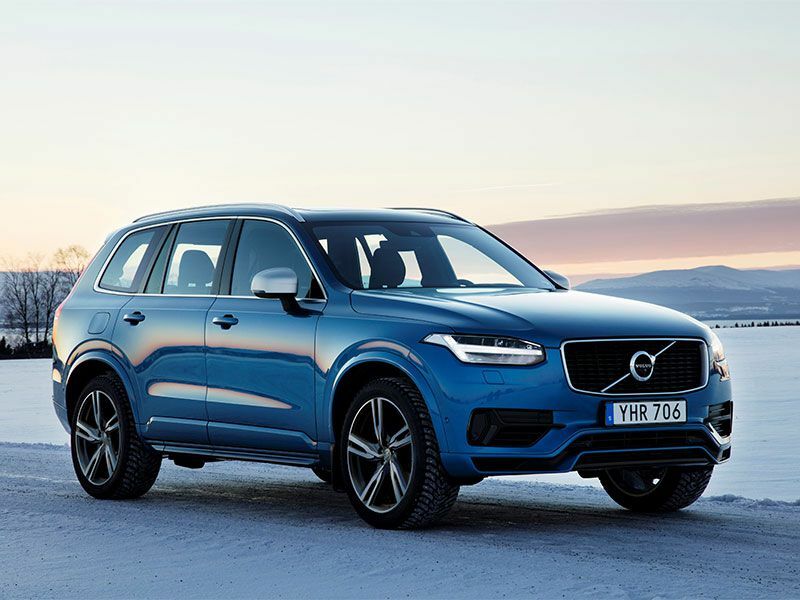 The three-row luxury crossover represents an interesting competitor for the MDX, as the 2018 Volvo XC90’s interpretation of Scandinavian luxury is an organic and stylish alternative to MDX’s Japanese aesthetic. Both emphasize clean lines and authentic materials, but even in the same class, they could not be more different. Starting at $46,900 and going up to $64,950, XC90 is available with two gas-only engines, a hybrid gasoline-electric powertrain and a plug-in hybrid gasoline-electric powertrain. All of XC90’s gas engines are four-cylinder examples, with lower-output versions using a turbocharger and higher-output versions using both a turbocharger and supercharger. Base T5 Momentum models are front-wheel drive, and upper trim levels are all-wheel drive.